I noticed the three employee expat types shortly after arriving in Japan for the very first time many years ago: These were the “leader”, the “follower” and the “exile”. Virtually every working expat I met seemed to fall or could be fitted into one of these three categories. Even more interesting than that tripartite classification was that the three categories were perfect reflections of the same three principal categories of lion migrants, with useful implications regarding expat likely work style, professional ambitions and workplace personality fit. Those of particular analytical interest didn’t and don’t include migrants obliged to become long-term expats, e.g., many of the expats assigned or seconded by some company, church or other organization (although within the ranks of such organizations there were those who were and probably are leaders, followers or exiles). No, the most instructive cases were and are those coming entirely on their own and of their own “free choice” for long stays, even if only initially as someone’s tag-along companion (which, on closer analysis, might put them in the “follower” category, in some instances). To get a bead on what kind of expat employee one has hired and, in particular, to what degree (s)he is a pure or mixed type of migrant, it may be useful to imagine you are evaluating lions and use the three-category classification of leader, follower and exile. So, the first question is what kind of lion chooses to leave its pride or territory, i.e., leaves what in human terms is its group, home, hometown or home country? The second is can the migrant lion or expat “change its stripe”, so to speak—e.g., morph from follower to leader, or somehow embody elements of more than one type? Presumably such a “ligrant” (my portmanteau equivalent of “lion migrant”) is, at a given time, either a dominant, very tough member and leader, blazing a trail to bigger, safer or otherwise better territory, water or game; or it’s a tag-along or straggler, somehow compliant or separated and on the move to catch or keep up with the others; or it’s an exile—typically a more-or-less banished subordinate unable to hold onto its status rung, secure a mate (or other resources, such as food), protect its cubs or otherwise cope with stressors, such as in-group harassment or ostracism. “Strays”, i.e., those who have wandered off or otherwise gotten separated by accident, e.g., because of a fire, don’t count in this expat analysis, if only because expats almost always know where they are and also because if they do accidentally stray into another country, the only employment they are likely to find will be in a prison laundry or road gang (depending on whether it’s North Korea). Exile, despite the appearance of coercion, can be treated as a free choice, given the option of fighting to stay, to try to create compensatory alliances, etc. The human case of an employee who is re-assigned to an overseas post does not correspond to lion exile, if the human ligrant doesn’t mind, desires or otherwise feels comfortable with the relocation, e.g., because (s)he’s still a member of the organizational “pride”. 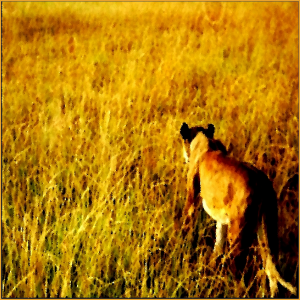 The dominants, whether lions or expats, tend to be pulled to new domains by external variables, including opportunities, challenges or curiosity, while subordinates tend to be pulled by the dominants, or pushed out by them or by external home-turf dangers. Then there was Rich—a college wrestling champion, All-Japan karate champion, black belt and Dale Carnegie super-salesman; and another Jeff—in the Guinness Book of Records (for a 5-day non-stop relay swim in a pool), to name three. Lanny, our instructor, was a 5th-degree black belt and Kobe bar owner who never left, having created a very nice niche for himself. The former Jeff and Rich, very disciplined and tough athletes and evolved businessmen, are now entrepreneur millionaires who probably would have succeeded wherever they situated themselves. The tagalongs include(d) the merely curious, the deeply loyal and the simply available, who choose to check out and into the overseas experience, with no pull stronger than that exerted by those whom they choose to follow. As for the exiles, they included people whose lives back home were unsatisfying for economic or social reasons, e.g., guys who were likelier to find countless tempting cheap flights to Japan before ever finding a tempting job or temptress girlfriend back home. The exiles comprised at least two subtypes, including the “Pillsbury Doughboy” type—gentle, unprepossessing, unassuming, soft-spoken, unaggressive, unassertive, socially awkward, generally “soft” sorts, who found pleasant niches for themselves in language teaching, where they could succeed without vaulting ambition and entrepreneurial drive. But they also included the kind of “nomadic hustler” who had to migrate from one country to another to survive, whether to sell faux Rolex watches or to otherwise eke out an existence while on the move, if not the run. In addition to these pure types, there were and are mixes—especially these days when talented graduates are not only smart enough to get good degrees from good schools, but also savannah-savvy enough to recognize where to hunt for the good, better or best jobs, e.g., Shanghai, Tokyo, Dubai, while squeezed out at home. These are what can be called “dominant-exiles”, possessing dominant character and talents, but in effect exiled by bad or worse job markets back home. That makes them the equivalent of lion pride leaders forced to flee a sweeping savannah firestorm. From a recruiter’s perspective, these can be very good bets as hires, because they combine an excellent skill, character, temperament and values set with motivation to seek and stick with expat employment. Moreover, the dominant-exile may also be a returning expat—one who, after a long stint overseas, is returning to what can seem to or actually be a vastly changed employment and social landscape, e.g., an unemployed veteran returning from several continuous tours of duty in Iraq. When interviewing expat job applicants, it can be very useful, if not imperative, to try to get a sense of which type one is dealing with. Dominant-exiles can be very attractive applicants for power posts, because on their supply side, they offer strong personalities, talents, toughness and survival skills, combined with a shrewd sensitivity to markets, a good sense of timing, a taste for challenge (if not also for extreme competition) and nimbleness to adapt to them. On the company supply side, employers offer them jobs and opportunities that are not available back home (or were not available when overseas, in the military). That’s a good match. When vetting expats, it’s a good idea to look for such markers of drive, confidence and toughness typified by elite sports, military or fitness training and performance, if that’s the type you want. “Subordinate-exiles”, e.g., someone with self-doubt, less robust self-confidence or with social skills issues, but with a decent skill set and work ethic, can be a good choice if reliability matters more than a super-charged personality. For example, a self-effacing, diffident Pillsbury Doughboy soft subordinate-exile could make an excellent choice as a responsible and malleable behind-the-scenes curriculum developer or software engineer, but perhaps a less effective classroom spark-plug instructor or inspiring project leader who can set a team on fire. Although an expat’s non-physical lifestyle may suggest you are dealing with a non-dominant personality, appearances can be very deceiving; so don’t jump to any conclusions based on physical persona, activities and background. Still, it’s worth underscoring when it makes a strong impression either way. The tagalongs are the question marks, since they may be applying for an expat job simply because they are there (as someone’s partner)—neither driven by natural leadership, warrior or explorer tendencies nor by job-market exigencies or social/career failure back home. Vetting them will require more creative and detailed questioning. … and my stint as a Japan-based cub-journalist (as which, alas, I was never lionized).